Central African governments and their development partners account for a significant proportion of the region’s demand for domestic timber, mostly to meet infrastructure needs in sectors such as education, public works and healthcare. This demand is growing, as more development projects are implemented in the region. However, experts say that not enough attention is currently given to the legality of the wood used for development projects, resulting in countries missing out on a crucial opportunity to promote a sustainable, legal supply chain of timber for national consumption. 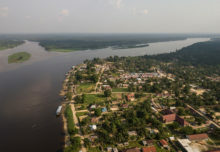 A recently published policy brief by the Central African Forest Observatory (OFAC) discusses how, until now, the governments and international organizations in the region do not include a legality clause in their calls for tenders for public procurement. In the policy brief Eba’a Atyi and the contributing authors call for a change in national public procurement policies across the region to enforce public purchases of timber exclusively from legal sources. Currently, public procurement of timber follows a certain sequence of events. National governments lead infrastructure projects, often with support from international donors, and award projects via public tender to national or international enterprises, which then carry out the construction work. Most of these companies source their wood from local urban markets supplied by small-scale loggers, who do not take into consideration resource renewal rates. 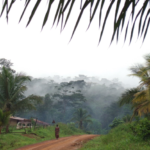 The supply chain is thus informal – and essentially illegal – and is contributing to the deterioration and depletion of Central Africa’s forests. 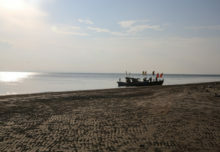 International donors, in most of the cases, abide by national laws, meaning that here they do not have to ensure that wood is sourced legally for public procurement projects. 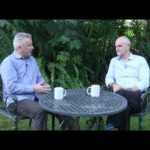 While some enterprises and donors do have internal operating guidelines that recommend legally sourced timber in their projects, but most of the time these guidelines are not monitored and implemented. 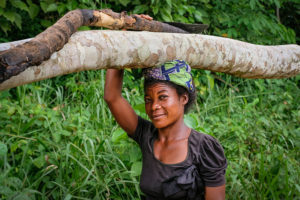 Furthermore, certified or legally sourced wood is often difficult to obtain in Central Africa, either because the industry is not interested in low-profit national markets, or because of the incapacity to meet national demand. However, attitudes are slowly changing, and governments and development actors are increasingly turning their eyes to the issue. “A few initiatives taken across Central Africa indicate that countries are prepared to promote legally sourced timber in public procurement,” says Guillaume Lescuyer, contributing author of the policy brief, and coordinator of CIFOR’s ESSOR project that aims to boost demand for legal wood in Cameroon. 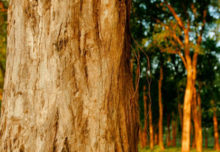 “The Cameroonian Ministry of Forests and Wildlife (MINFOF), for example, has formed a working group on the issue and is now preparing a draft text on the promotion of legally sourced timber in government contracts.” The Cameroonian government’s demand for timber is calculated to be at least 13,000 cubic meters per year – an amount that can potentially have a very high impact for the betterment of the industry. These individual initiatives, though relatively small on the regional scale, help create awareness about the issue and need to be encouraged and scaled-up in other countries, the experts say. In order to require legally sourced wood in public contracts, the authors of the policy brief suggest three options to the national governments in the region. First, governments should make a political statement announcing their intention to promote the exclusive use of legally sourced wood in government contracts. Second, they should issue a legal act – a binding decree, for example, signed by a president or prime minister, or a joint order from national agencies involved in forestry resources management, public contracts and infrastructure – on wood legality in government procurement orders. 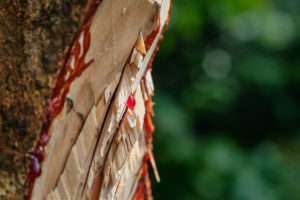 And third, they should include a clause on the use of legally sourced timber in public contracting codes, so as to directly target the mandates of providers and suppliers. Finally, regional cooperation, especially through the Central African Forest Commission (COMIFAC), also offers an opportunity to push for changes in public procurement policies at the intergovernmental level. 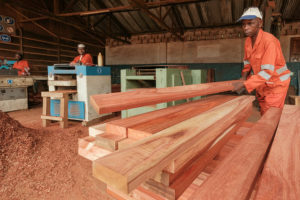 “Considering the implementation of the Voluntary Partnership Agreement (VPA) and the growing interest in promoting intra-African timber trade, it should be a priority for COMIFAC Member States to urgently prepare and adopt public procurement policies that impose and promote timber from legal sources,” says Eba’a Atyi. And international partners, he says, should stand ready to help prepare these policies and apply them to their development support actions in Central Africa. 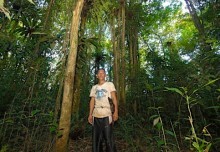 By Ahtziri Gonzalez, originally published at CIFOR’s Forests News. For more information on this topic, please contact Guillaume Lescuyer at g.lescuyer@cgiar.org or Richard Eba’a Atyi at r.atyi@cgiar.org. This research was supported by the FAO-EU FLEGT Programme, CIRAD, Foret Ressources Management (FRM Ingenerie), and the Catholic University of Louvain (UCL).